U-Turn is a performance based educational initiative designed to engage and activate students around the climate crisis. Since 2009, Climate Cycle has had significant success in realizing its mission of inspiring students to green our world through a combination of educational initiatives and green school projects. Increasingly, the largest impact was found through school presentations and performances in which Founder Joey Feinstein would incorporate hip-hop and freestyle rap into environmental education. Climate Cycle is now increasingly focused on refining this formula for success in a project entitled U-Turn. “The ears of our era are done wasting time.” These words embody the ethos of this project whose baseline is as a hip-hop soundtrack. This soundtrack forms the foundation of a stage adaptation whose ultimate goal is inspiring real world action. U-Turn’s soundtrack to stage to streets approach is an invitation to not only become inspired but to act on it. The first phase of this soundtrack/stage development will be done in conjunctions with feedback from a variety of educational forums to learn what students most positively respond to. Following this initial development of the soundtrack/stage performance, a series of small-scale productions will be done for further research/refinement purposes with the final goal of a traveling production reaching students throughout the state and eventually nation. • It is ultimately you who must make the change and turn the tide. • The many switches (you) perpetually turn on that are energy intensive (cars, computers, lights, etc.). 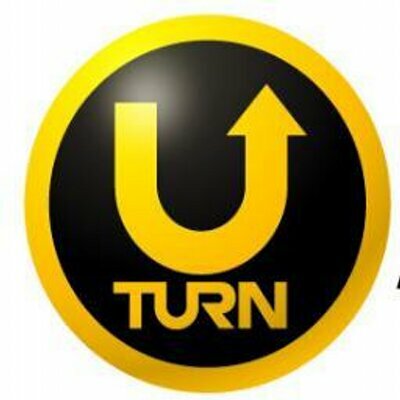 • U-Turn is a road sign, associated with driving, an activity that drives global warming forward. We also need to start reading the signs of cataclysmic climate change. • Coming back from where we came, there are many facets of sustainability that embrace practices less prevalent today that would be of significant ecological asset to re-implement. Each of the above contain critical aspects of the U-Turn message; all of which we seek to educate and inspire among our student constituents.